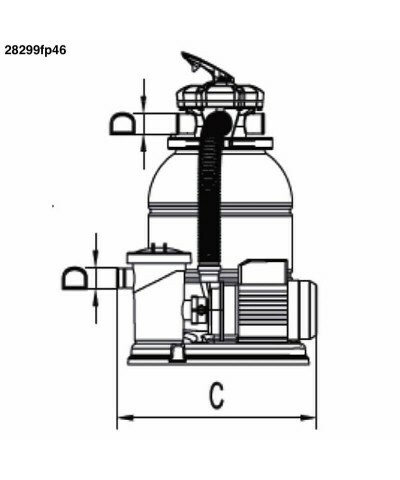 The BLOW-MOULDED SAND FILTERS Millennium with top outlet are manufactured in one-piece PLASTIC MATERIAL without welding, by blowing process. Opening the filter cover by thread system. Equipped with pressure gauge and manual air and water drains. 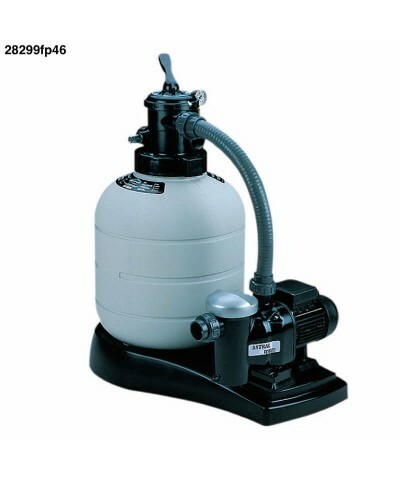 Product gender: Sand filters for swimming pools..
Pressure Max. Working (Kg/Cm2): Two. Nominal Flow Rate M3/H: Seventeen. Load Of Sand/Glass (Kg): 180/175. Volume of Pool (m3) approx. : One hundred forty. €697.52 Vat incl. €697.52 Vat excl. By buying this product you can collect up to 69 loyalty points. Your cart will total 69 points that can be converted into a voucher of 13.8. Voltage (V): Two hundred thirty. Selector valve included in the filters with top outlet, not included in the filters with side outlet. Maximum working pressure: 2.5 Kg / cm² for 380mm, 430mm and 480mm filters, and 2 Kg / cm² for 560mm and 660mm filters. Compatible with sand and glass. Excellent performance and reliability for your pool, the Millennium range of filters is distinguished by the fact that the anti-corrosive plastic filters are formed in a single piece without joints, and also for the fact that they are filters that together with a seductive and modern design (thanks to the stylized shapes and an external beige part) guarantee operational reliability and minimum maintenance. Since they are designed to meet any type of filtration requirement in residential pools, they are available in different diameters depending on the volume of water they need to filter, and at the same time they are supplied with everything that is necessary for you to have one of the best AstralPool filters. Filter body in unalterable plastic and resistant to chemical and atmospheric agents, created to work with the elements. Standard equipment with the new generation 1.5 "6 + 1-way sorter valve from AstralPool with bayonet closure for filtration, washing, rinsing, recirculation, emptying, closing and wintering operations. (all entries and exits are communicating). 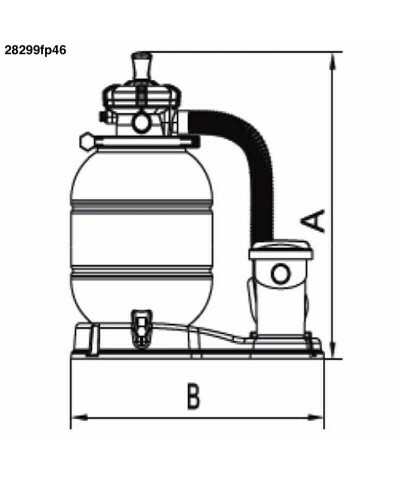 Transparent cap to facilitate visual inspection and access to the inside of the filter if it is a side valve, internal upper diffuser to ensure good water distribution over the filter bed. 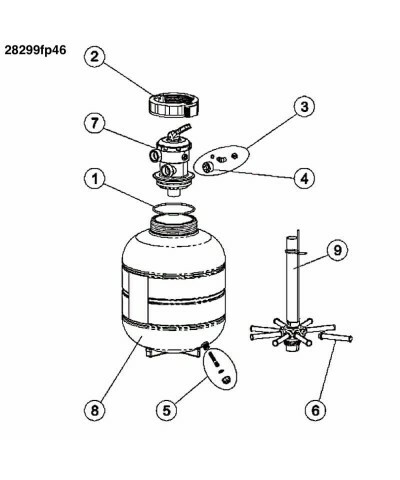 1.5 "internal fittings for a constant performance manual air purifier to let air out of the inside of the filter if necessary, manual water purifier in the cylinder body for easy drainage without any sand loss. 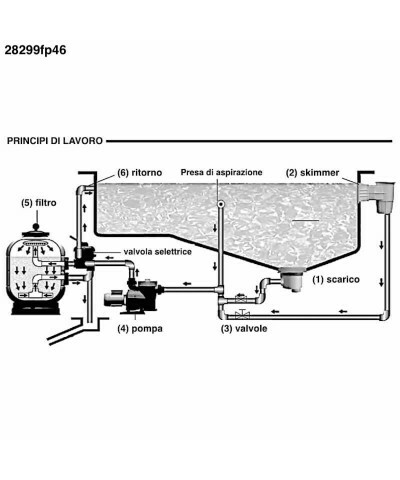 In the lower part a collector is supplied thanks to the arms to ensure a balanced flow and the washing of the filter, a pressure gauge for the control of the filter washing. Sand filters for swimming pools. Price €549.85 €549.85 Vat incl. €549.85 Vat excl. Pressure Max. Working (Kg/Cm2): 2,5. Nominal Flow Rate M3/H: Seven. Load Of Sand/Glass (Kg): 60/42. Volume of Pool (m3) approx. : 40 - 50. Price €608.46 €608.46 Vat incl. €608.46 Vat excl. Nominal Flow Rate M3/H: Nine. Load Of Sand/Glass (Kg): 85/60. Volume of Pool (m3) approx. : 50 - 75. Price €229.82 €229.82 Vat incl. €229.82 Vat excl. Nominal Flow Rate M3/H: Six. Load Of Sand/Glass (Kg): 40/28. Volume of Pool (m3) approx. : 0 - 40. Price €528.02 €528.02 Vat incl. €528.02 Vat excl. Nominal Flow Rate M3/H: 5,5. Price €652.70 €652.70 Vat incl. €652.70 Vat excl. Nominal Flow Rate M3/H: Twelve. Load Of Sand/Glass (Kg): 135/95. Volume of Pool (m3) approx. : 75 - 100.